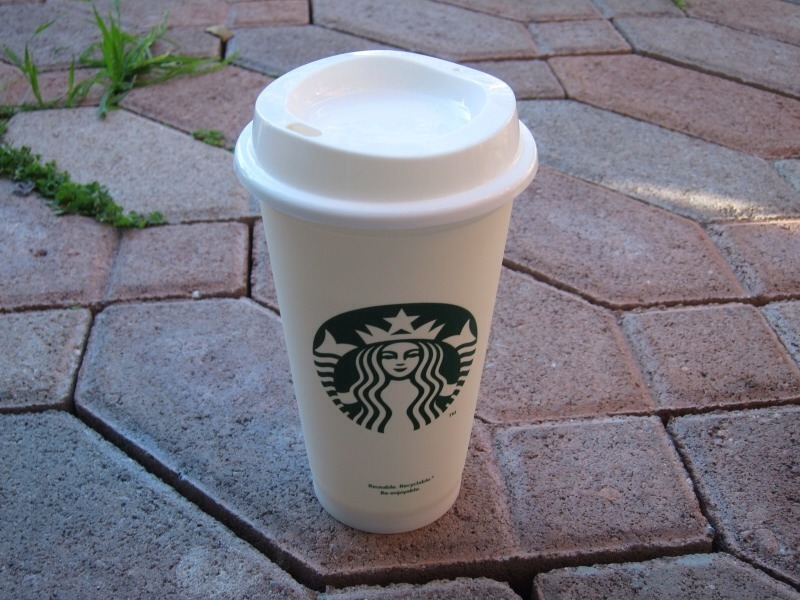 Starbucks has a new reusable cup! It's made of PVC plastic and is very durable. At only $1 this cup is a real treat for Starbucks goers. Not only can you help our environment, you also get .10 off your drink. Two really good reasons to buy this cup! Enjoy!